Trent and Lil’ Trent spent the day helping Tony Rose collect schools supplies to benefit area children. This is one of our favorite events every year. 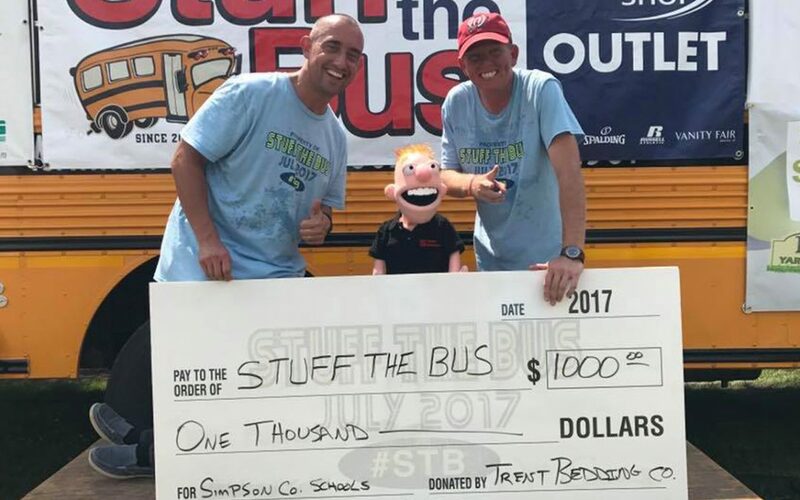 This was Lil’ Trent’s first year at Stuff the Bus. 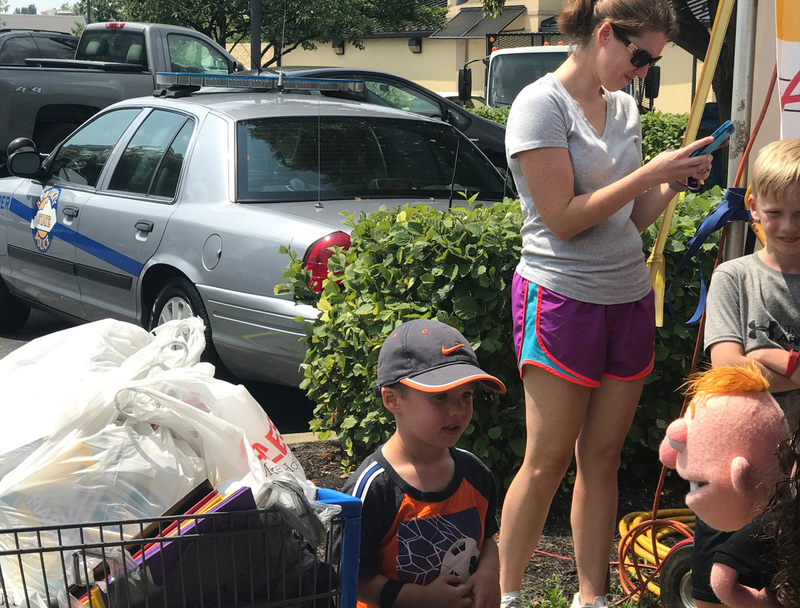 Even though he complained a little about the heat, (diva) he loved seeing all of the amazing people working together to help kids in South Central Kentucky. Whats up everyone? Trent here from Trent Bedding. 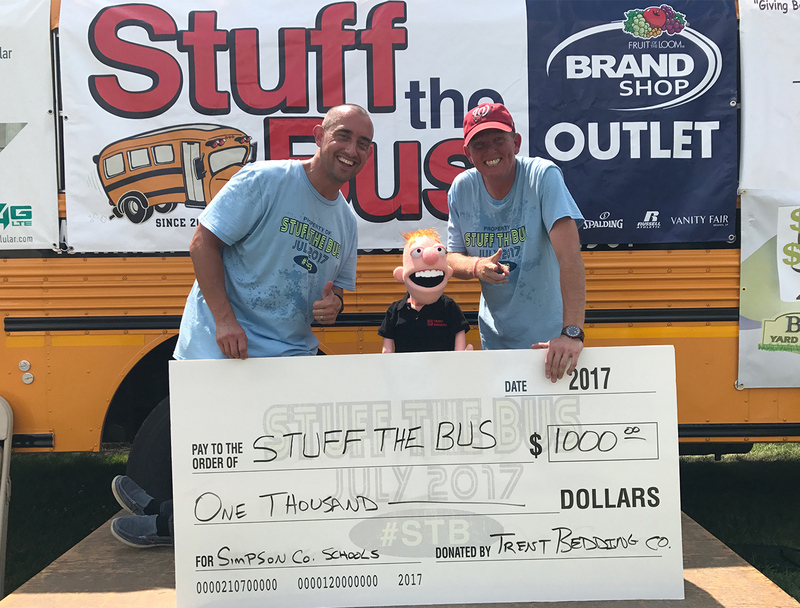 Today, I have to tell you about Tony Rose from the radio station, D93 and his event, Stuff The Bus. This year was the 12th year of the event and I am proud to say, I have been a huge supporter now for the last 11 years that we have been open. Every year, Tony sets up at Bluegrass Cellular on Campbell Ln here in Bowling Green with School buses parked everywhere. 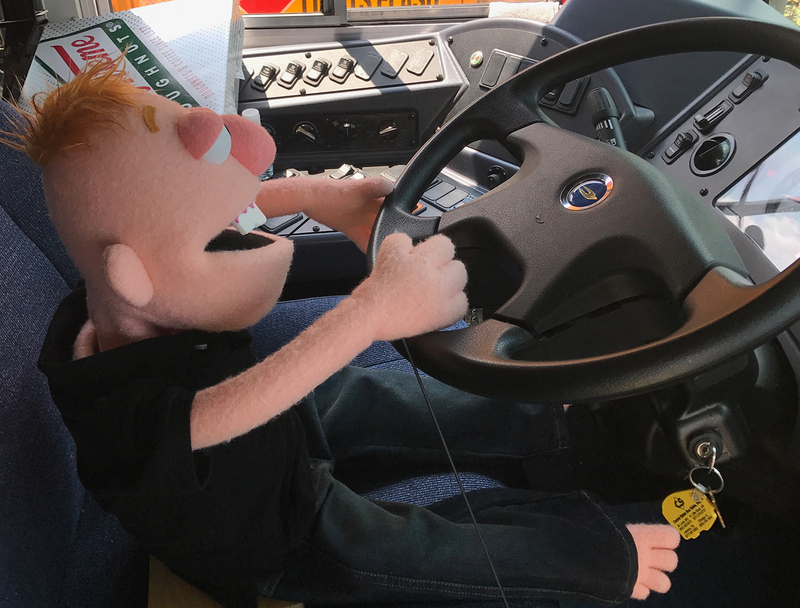 Tony actually stays on the bus for four nights in the HOT month of July to create awareness for the need of collecting school supplies for the kids in our communities. What is just simply amazing is the outpouring of support from our communities. When I say communities, I mean every county that surrounds Warren county gets involved by donating either Time, Money or bringing School supplies. When another county shows up with supplies, Tony and his crew make sure to inventory what is brought, the they proceed to match what is brought and send back double to the community from which it came! This event has literally blown up from the inception. In the beginning it was basically just Tony and few volunteers. Now, it has grown into an entire crew of volunteers, TV stations, Radio Stations and just plain awesome people. When someone donates money, the Coupon Ladies will take that money and go buy school supplies. They have been know to take a $1 donation and turn it into $6-$8 worth of school supplies. That is why a monetary donation is usually the best. Just watching these ladies buy supplies on “The Cheap” is mind blowing. Each year a goal is set for the amount of “Tons” that is wanted in school supplies. 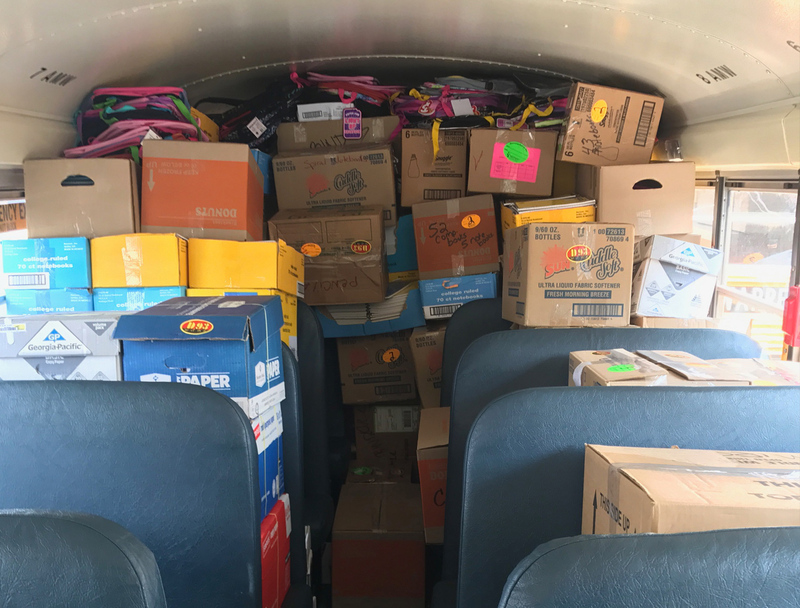 This year was the largest ever amount of school supplies was donated, with over 16 tons!!! It is very humbling to be a small part of this event. 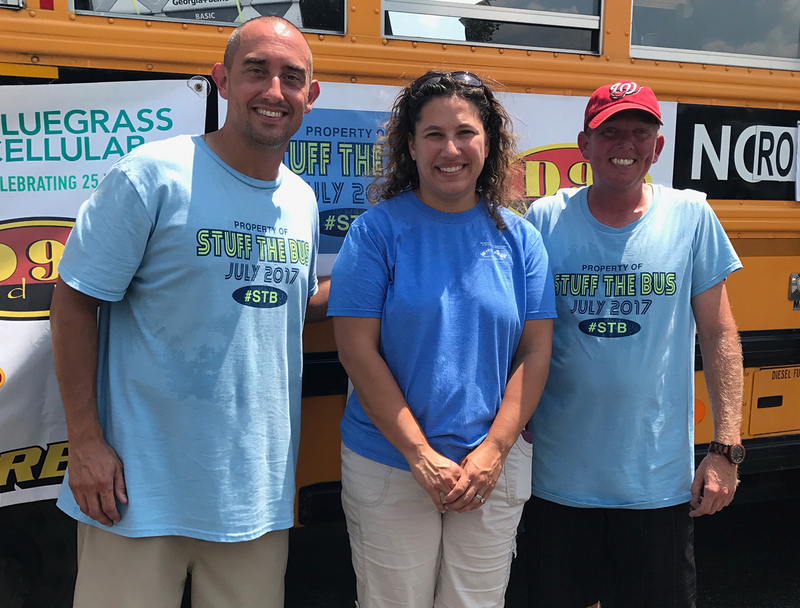 Just knowing that Stuff The Bus “helps level the playing field for every student starting school by helping them have the pencils, paper, folders and etc. that every other child has on the first day of school” as Tony says. It is an amazing event that has grown and grown! If you are in the area next year, stop by, Stuff The Bus, and say hello!!! !